Your Story: Nina Davuluri – Proud! 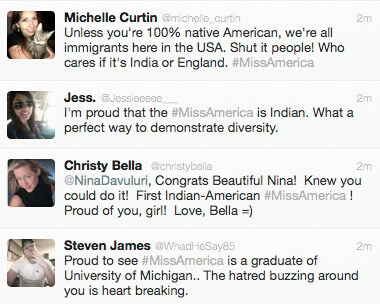 Nina Davuluri won the crown of Miss America and was hit with racism by her own people. The micro blogging racist slur went to extents of calling her an Arab to her inclinations towards terrorism. The slurs went beyond tolerance when some linked her crowing to the 9/11 Anniversary (celebrated 4 days before the crowning). 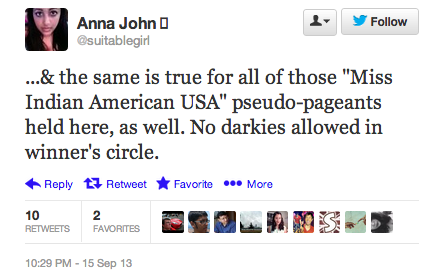 Truth of the matter is – She is an American – born and bought up in New York (how much more American do you expect her to be?) Neither an Arab nor Indian! 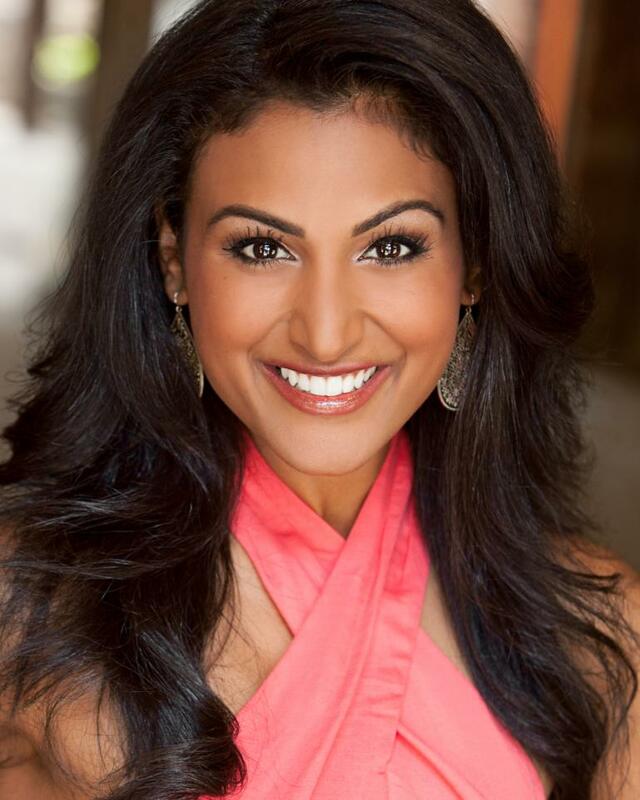 While many people mistake her for being Muslim, Nina Davuluri actually practices Hinduism. She was born to Telugu parents. Her mother Sheila Ranjani and father Davuluri Koteshwara Choudhary both hailed originally from Vijayawada, Andhra Pradesh, India. In 1981, they left for Missouri (United States), where her father worked as a gynecologist. Following the family trend, she wishes to become a cardiologist. To honour her Indian roots, she became a trained Kuchipudi and Bharatanatyam danseuse during her yearly visits to India. Davuluri has learned to play piano as well and she regularly watches Telugu films (Tollywood) to stay connected with India. Nina, in 2006, was placed Runner-up for Miss Teen America. She prepared herself a whole year for the Miss America competition. Her hard work paid off and we have a ‘Miss America’! The 24-year-old competed against 53 other women who represented the 50 States, the District of Columbia, Puerto Rico and the U.S. Virgin Islands. Her reciprocation to the racist comments was – “I have to rise above that. I always viewed myself as first and foremost American,” she said at the Press Conference post her win. “I’m so happy this organization has embraced diversity. 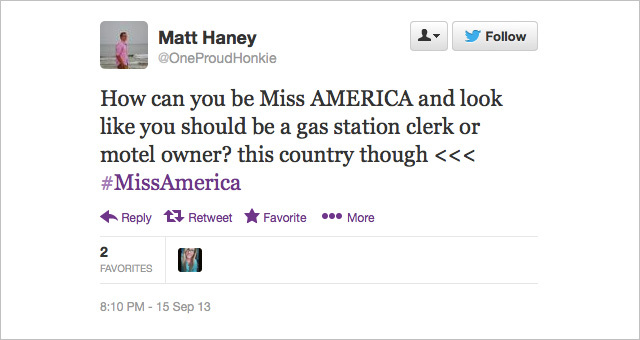 I’m thankful there are children watching at home who can finally relate to a new Miss America. I’m most excited to promote my platform, I was the first Indian Miss New York and I’m so proud to be the first Indian Miss America,” she said after being crowned in Atlantic City. N.J. In retrospect Huffington Post reports about the ‘Indian Beauty Myth’ which stressed upon the Aryan-Dravidian divide, which gave birth to North-Indian and South-Indian concepts. For more dope on that read here. The report also takes a fresh look at how America is far more open-minded than the rest of the world, especially India. Many Indians, on the contrary, have opined that Nina Davuluri perhaps would’ve never reached the finalist stage if she were to take part in the same pageant in India. Some supportive comments were also seen but very few! This entire episode we think is a shame for both Americans and Indians for reacting and following self-made trends. We salute the judging panel for this bold decision and congratulate Nina for her win. Much Respect! P.S. – She was overweight, but she lost all those pounds and today is a Miss World contender. Beat that!